automotivegear2018 has no other items for sale. I had an all around great experience with this product. 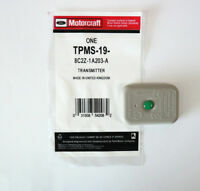 I received a new TPMS tool as was shown in the advertising at a lunch lower price than most all other sites. It has worked properly without any problems. Ford dealer tried using a multi thousand dollar snap on tpms scanner. Didn’t work, wanted several hundred to “fix” this cost 23 bucks and took me 3 minutes and it was perfect! Now tpms sensors all work and show proper psi, and the light is off!!! Works great! Remember there are two ways to get the vehicle (F150) into program mode. For New TMPS sensors you need to use ‘brake pedal and key turns’ combination to enter program mode to program New TMPS to your vehicle. AFTER SEARCHING(WITH NO LUCK) ALL OVER E BAY AND THE INTERNET TO FIND OUT IF THIS WORKS ON THE NEWER 2017-2018 FORD SUPER DUTY I TOOK A CHANCE AND BOUGHT IT. COULD NOT BE HAPPIER!!! WORKS PERFECTLY ON MY 2018 F250 SD AND MY SUPERVISERS 2017 F250 FX4. MINE IS 6.7 POWER STROKE AND HIS IS 6.2 GAS, SO IT WORKS ON THE NEWER FORDS ALSO!